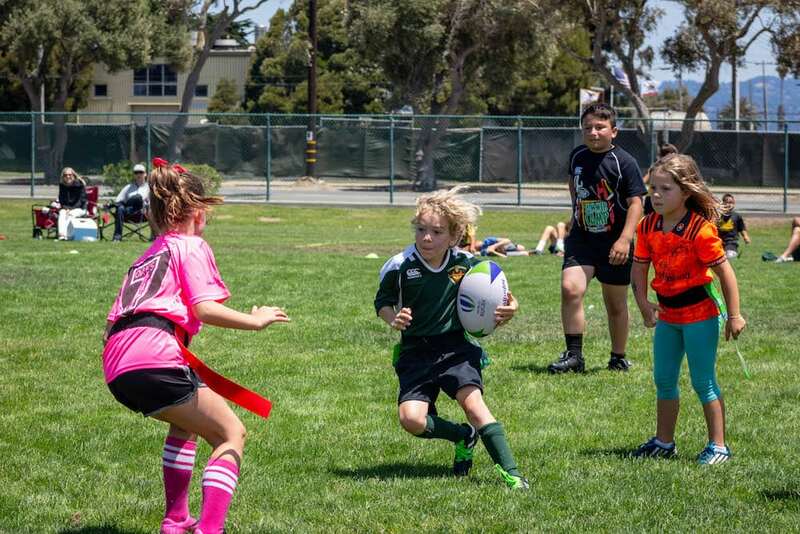 Hundreds of children in the Bay Area are receiving a specialized rugby curriculum thanks to Rugby World Cup Sevens 2018 and the Impact Beyond program. Fans across the world will undoubtedly remember Rugby World Cup Sevens first appearance in America, but for hundreds of children in the San Francisco Bay Area, the international tournament had an impact that spread beyond the fixtures at AT&T Park. Before the tournament, USA Rugby and Rugby World Cup Sevens 2018 organizing committee implemented Impact Beyond - a program intended to engage, inspire and empower youth in the Bay Area to become involved with the sport. USA Rugby and its partners Rugby NorCal, Play Rugby USA, USA Rugby Academy powered by Atavus and Playworks traveled to over 100 schools across San Francisco to introduce a new "Let's Play Rugby" curriculum. The curriculum was designed to educate youth in the following areas; inclusion, cultural appreciation, values and skills of rugby. The program was off to a great start with nearly 22,000 children receiving specialized training during PE periods or after-school sessions. During this time, students would not only learn how to play rugby but also learn the community values behind the game. "We loved that the values of rugby so easily tied into our core values. The focus on teamwork, inclusion, and going forward really resonated with us," said Ben Stein, Program Director at Northern California Playworks. Stein continued, "Our staff was excited about the opportunity to learn about a new sport and introduce it to their students. Play Rugby USA and USA Rugby did an excellent job of providing training that was impactful, informative, and fun." As the Rugby World Cup Sevens 2018 weekend kicked-off, so did various activities for children to engage with all things rugby. 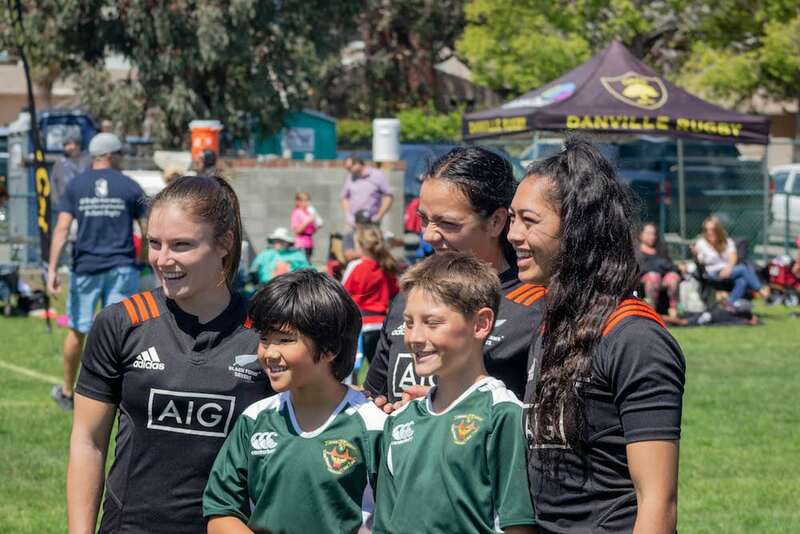 Events included the flag rugby festival, meet and greets with our national team as well as interactions with international teams such as New Zealand's Black Ferns. Additionally, children had the opportunity to volunteer as a flag carrier during the welcome ceremony or as a ball runner during the tournament. Through these activities, rugby would come to life for the children. "Up to this point, the children had experienced the sport with their friends and community." said Mike Lovinguth, USA Rugby Sr. Programs Manager, "But watching the tournament and engaging with the athletes gave an international and aspirational aspect to their rugby experience." Lovinguth explained how this level of access to the historic tournament, athletes and environment would naturally foster a better understanding of the sport, which will hopefully translate to a growing interest in participation - one of the five goals of Rugby World Cup and the Impact Beyond program. The Rugby World Cup Sevens helped raise approximately $200,000 for Impact Beyond that will directly support Bay Area programs and youth rugby development. With that, USA Rugby and its partners hope to keep the momentum going by continuing to teach the curriculum throughout the Bay area. Rugby NorCal, in particular, will be at the ground level working to provide further opportunities for new rugby enthusiast to engage with the sport. USA Rugby will additionally look to replicate the blueprint of the program with nationwide rugby markets.